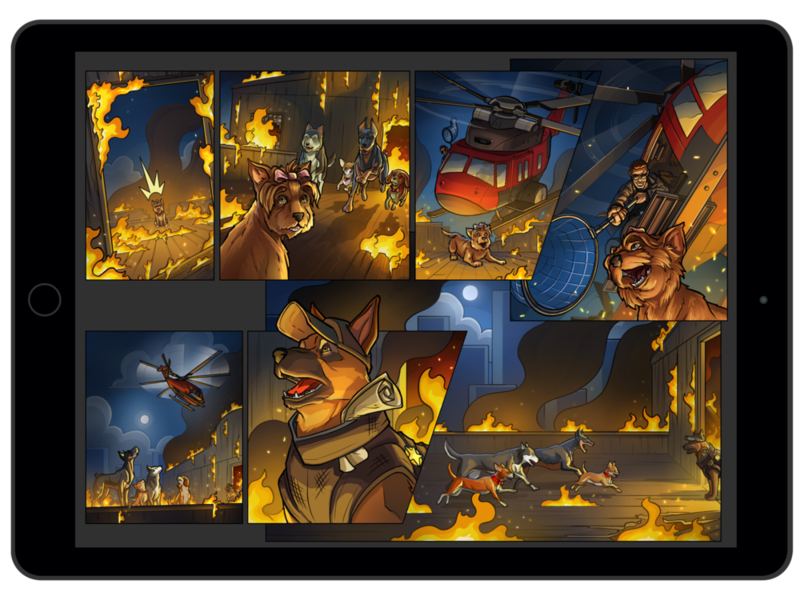 Get ‘Em is a crime-fighting RPG (role playing game) about superhero dogs trying to save the city from its ruthless mob boss. Along the way, they not only clean the city up, but also find their dognapped friend. Roles: Creator, Writer, Producer, Director (Creative/Art/Cutscenes), UI Concept, Q/A, UX, World Design, Level Design, Music, Developer (Updates/Tweaks). I wanted to create a new type of game which people considered impossible to make, especially for mobile. When production of Get ‘Em began, the latest mobile device was the iPhone 4s. I faced a huge challenge trying to bring an entire open-world game to market. For those that don’t know, creating an open world free roam video game is incredibly tough to do. Attempting to create it for mobile, was considered a waste of time, due to hardware/tech limitations. Regardless, I believed the future of gaming was going to be “all things mobile”, and wanted to beat everyone to the punch. At the time, there were maybe 3 or 4 true open world games for mobile, however, those were created by multi-million dollar companies, not by a rookie indie developer. The goal was to create a video game, which could be played on all major mobile devices, while retaining amazing graphics and hardware performance. The style of artwork also needed to be different. I wanted my game and its characters to be recognizable. 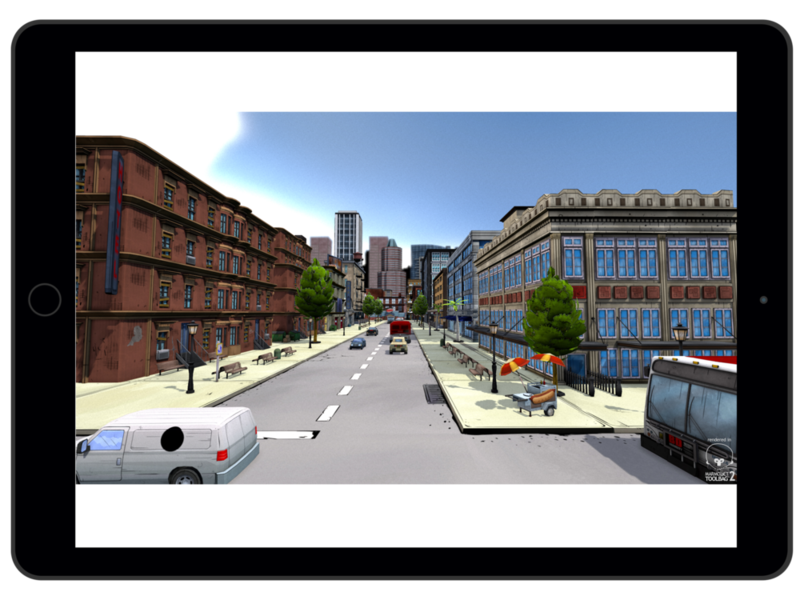 Cel-shaded artwork has always looked incredible, and I thought, why not make an entire game look like a 3D comic book, but give the user the ability to fully control the character within a big city. I also needed the right UI to match this type of art style, as well as the right font and color scheme. Also, since mobile devices have no physical joystick or gamepad, the gameplay buttons had to work dynamically with each other. The users character could do 10 different things. I wanted something that made sense for this game without being an eye-sore, and take up the least amount of display “real estate”. I spent almost 3 years monitoring and researching the top 100 games in the App Store and GooglePlay. I followed any analytics I could get my hands on. Scoured through countless amount of reviews, forums, dedicated gaming websites, as well as created my own social media polls for direct feedback. The pattern I noticed from almost every top earning game was by leaving the game free with in-app purchases (IAP), each user was more comfortable spending money. Psychological studies have shown people are more likely to spend money if they feel at ease, or are given something for free. Think about it like shopping at Costco. They want you to eat all their samples, not just to have you buy food products, but to keep you there longer, while your mind releases endorphins as you browse through all their other aisles, increasing the potential of making more purchases. This proved 100% true when Get ‘Em launched. I originally had my game at $0.99, and received a lot of downloads, but hardly any IAP. When I made my game free, I was averaging almost $3.00 per download, and 1 out of 10 users would spend at least $5.00. I realized quickly “freemium” was the way to go for my business model. However, I don’t always go the freemium route. There is an advantage to charging for your app, besides earning money up-front. There are numerous bot websites and social media accounts that monitor app discounts. Every so often, when I put my app on sale for free, it increases my weekly downloads by 2-3k on average. If you take advantage of this correctly, you can not only drive up your downloads, but also increase ad revenue and potential IAP. What I wanted for the gameplay buttons was something unique. I thought about having standard buttons which could have more than one function for each button, but it just didn’t work. 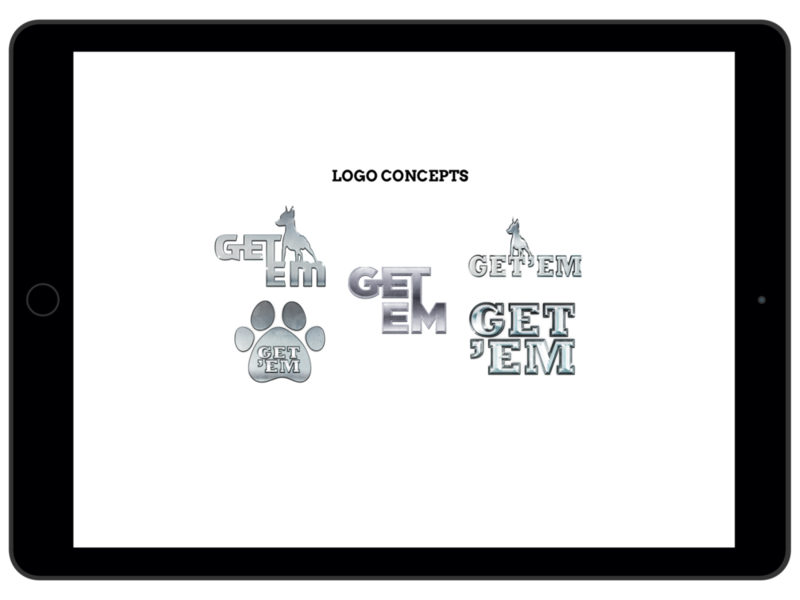 After weeks of concepts, I had the idea of using a dogs paw, as the main unit for housing all the buttons. One of the paw “pads” would function as an alternative to change between primary and secondary actions. I also thought it made perfect sense to have the actual pause button, look like a “paws” button. I also wanted to make sure the user could clearly see how much health and turbo their character had left, so I placed two refillable bars on the left and right side of the screen. The user could easily check their vitals, anytime they wanted during gameplay without it getting in the way. I also placed a map on the upper right hand side of the UI so the user could find their way, and zoom in, in case they were lost or looking for missions. I also created a virtual joystick which allowed users to play at any angle. This joystick could also be replaced with a “run” button which moves their character forward and utilizes the devices gyroscope for turning their character. Since no reverse button was implemented while using the “run” button, the user can press and hold anywhere on the screen (away from buttons) and it’ll allow their character to move backwards. For both the tilt/joystick movements, the user can make their character sit, by double tapping anywhere on the screen. Creating these movements allowed to keep the buttons to a minimum, while still allowing full control of the playable character. 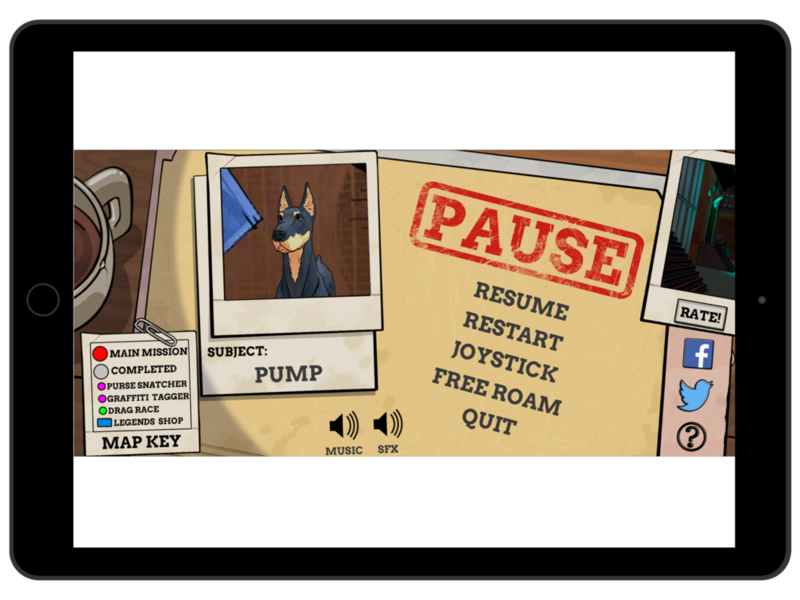 Another key UI element I added was to the games main menu. There are currently 6 apps revolving around the Get ‘Em brand. I decided to place direct links to the other 5 apps to maximize direct cross promotion. The benefits for all other games are 100% seen when I put Get ‘Em on sale. Having everything under one roof keeps users very happy, since it minimizes having to spend any additional time searching in the App Store. The user can also control the quality of the game through the main menu. 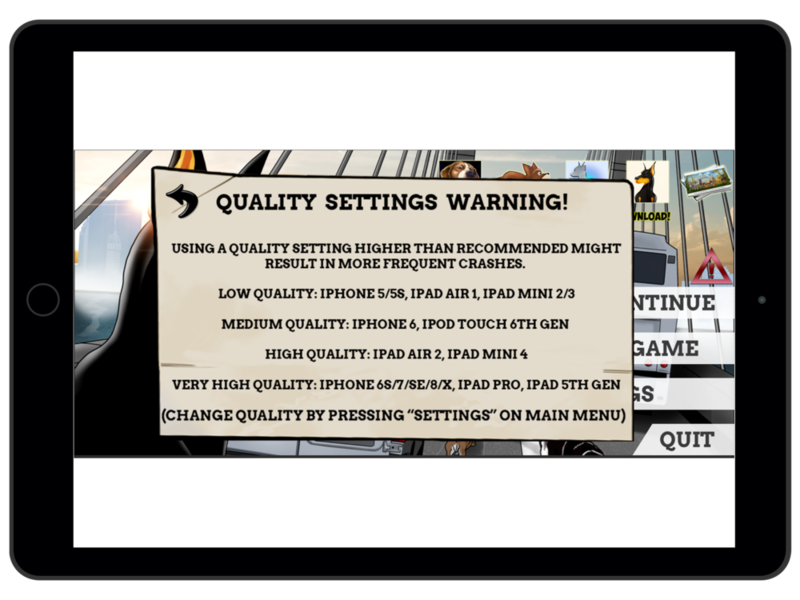 Older devices may not be able to play the game with higher quality settings, so this option was implemented to keep all users happy, and be able to play the game without experiencing any performance issues. All this being said, the single most important part was the overall performance for the users experience. Even with the best artwork, greatest price point, gameplay, colors, fonts, etc., non of it matters if the user cannot play the game, or play the game smoothly. As mentioned before, when I started making this game, the iPhone 4s was the latest and greatest. By the time I was launching, the iPhone 6s had been released and the iPad Pro. Due to my games super high quality artwork, it was only functioning on the iPhone 6s and iPad Pro, as well as iPad Air. This was a huge issue because I was only reaching 30% of the market. After tons of research, trial and error, massive bug testing and optimizing of artwork, audio, and code, I was able to optimize the game to a level that allowed it to work on every device after the iPhone 4s which hit almost 90% of iOS devices. The gameplay was at an enjoyable 30 FPS after the optimizations. There’s nothing worse than a choppy game, or a game that crashes. The longer you can entertain and keep the user in the game, the higher chances for sales.